I'm excited to bring this review and giveaway to you today for the newest member of the Dial Boutique Collection Hand Soap line from Dial! 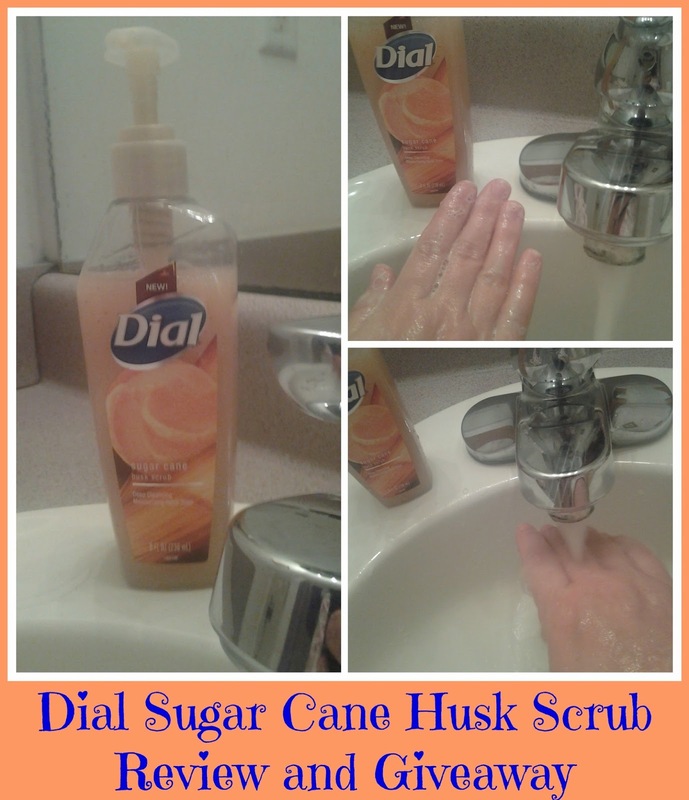 Introducing the new Dial Sugar Cane Husk Scrub Hand Soap! Dial has done a wonderful job in bringing luxury to my daily hand washing experience with this premium formula that has gentle micro-scrubbers that cleanses deeply while moisturizing and smoothing my hands. It's a deep cleansing hand soap that is safe for my whole family. The deep cleansing formula of the Dial Sugar Cane Husk Scrub (and all of the hand soaps included in the Boutique Collection) give me clean, healthy hands and skin because of the moisturizing formulas that have skin conditioners which hydrate my skin and visibly improves the dryness of my hands. This winter was rough on my skin, but I have seen a visible improvement during my review of Dial Sugar Cane Husk Scrub. My hands feel smooth and refreshed with every hand wash! I love the completely new bottle and design of the Dial Sugar Cane Husk Scrub! It looks so pretty sitting on top of my bathroom sink. I'm excited to share my love of Dial Hand Soap by hosting a giveaway of a coupon for a FREE bottle of Dial Complete Omega Moisture Foaming Hand Wash. Simply enter by using the Rafflecopter widget below! *Disclosure: The Dial brand provided me with a sample of Dial Sugar Cane Husk Scrub Hand Soap in exchange for a product review. However, all the opinions expressed here are my own. Yes, my hands have been very dry lately. Yes, I'm washing hands often during the day, so need a good soap. My hands have gotten really dry this winter so I could really use this. Yes, this winter has made my hands so dry! Yes, my hands are very dry this time of year. Yes -because my hands are super dry. My hands definitely need a moisturizing hand soap like the Dial Complete Omega Moisture Foaming Hand Wash offers.